winDual is an independent German engineering office in Hamburg, Germany. From 1993 since 2008 we gathered experience in international project management and sales of plant engineering and construction. We do not only rely on manufacturers information but on our experiences with many different manufacturers and products. Solid manufacturer, both technology and financial, operation experience and certification of products and production. Minimum requirement: certified power curve and AEP, noise reports and duration test according to European Norms listed under IEC 61400, executed by internationally, approved and independent Institutions. This guarantees all parties an objective basis for comparison of different turbines. 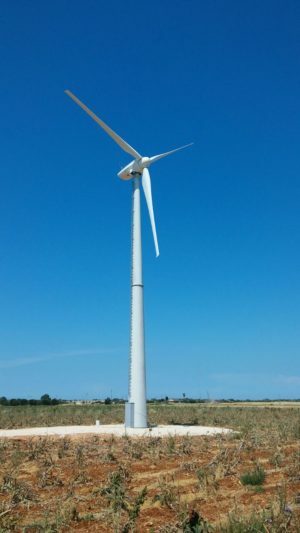 In the past 10 years we worked directly together with many manufacturers and could gather a lot of experience with different manufacturers, turbines, applications and site conditions. Based on this experience, we focus on the cooperation with three to four manufacturers. We have built up an intensive and close cooperation, starting from development of markets and turbines up to the after-sales-service. Independent of this we also offer products from other manufacturers if they are more suitable for the applicaton and site condtions. Based on this bright experience, we offer you an objective consultancy, individual engineering and project management, procurement and construction. Consulting concerning type of application and turbine, optional with battery storage and solar. We started our wind branch in 2006. Manufacturers of gear boxes of big wind turbines were among our international customers for plants. That way we got also our first view into the technology of small to midsize wind turbines. We analized the technology, markets, applications and manufacturers, national and international. Since 2013 we focus on three to four manufacturers and cooperate on all levels from engineering over manufacturing until application and installation. Since 2016 we are also consultant for a German manufacturer of small wind turbines.